Just the right size for beginning shooters! Daisy's Powerline TargetPro 953 is sized for shooters 16 and older (adult supervision required), who are interested in sharpening their shooting skills with a precision air rifle. 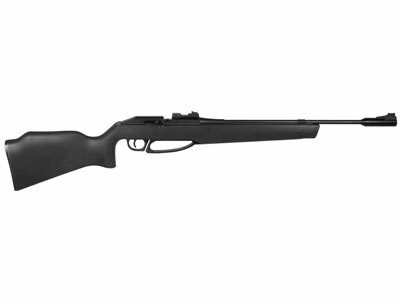 The rifle is a single-stroke pneumatic (one pump and you're ready to go!) with a cocking effort geared toward teens. It's a repeater, and the .177 pellets are fed through a 5-shot clip, making for quick follow-up shots. The rifled barrel is made of high-grade steel with 1:15 twist. 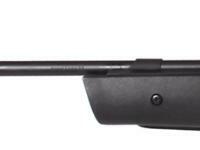 To make it easy to acquire targets, Daisy installed front and rear fiber optic sights. 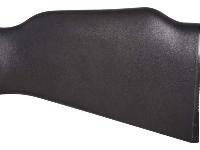 The matte black Monte Carlo match-style stock is made of a durable synthetic. Click the AMMO link for our list of suggested pellets. Click the ACCESSORIES link to find targets, safety glasses and other shooting gear. Things I liked: I like only having to pump gun one time to shoot it, it seems well built and sturdy. This Daisy Rifle is mostly medal besides the Stock, but I like it a lot and it seems to be a good buy. I've only shot it a couple times before this review but it shoots very good you just may have to sight it in, I did mine and its a great shooter. 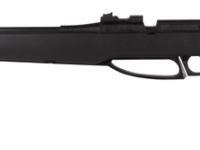 Things I would have changed: This is my first single pump Rifle so I would not have much to change with it, maybe include a Scope package ?? What others should know: This Daisy 953 is a great shooter, they say its a youth gun but i'm having a lot of fun with it, I'm 52 and disabled. To tell you the truth I did'nt know anything about these single pump gun's and I wanted a gun I can shoot without c02. 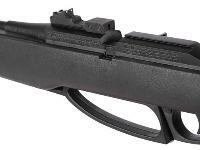 But I must say I am very pleased with my purchase,some people say they have problems with the sights but I don't have any issue what so ever. I love having the same power level through out my shooting session and this Rifle gives me that. I also love the Bolt Action seats the pellet in the barrel and I get very accurate shots. The 5 round mags are a big plus and they seem to be rubber so I don't know how long they will last ? 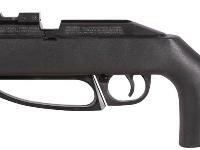 I load mine upside down ( NOT BACKWARDS ) and seat the pellet in the mags, if you don't put them in the mag good chances are some may fall out during pumping or cocking gun. All in all I would say this is a good buy and you can mount a scope if you want to !!! Things I liked: Easy, one-pump action for youth. When pumped, magazine moves along to enable more consistent shooting. Things I liked: Very accurate! Things I would have changed: Sights are nothing special. What others should know: I removed the rear sight and installed a scope. Extremely good combination! What experience have you all had with pellets falling out of the clip while you are cocking the gun? Does that happen sometimes? What size hex/allen key do I need to remove the rear sight? Thank you. Never mind--answering my own question here, 2 mm hex key did the trick. Is the magazine auto indexing? Mine is but sometimes you have to help it line up the pellet. 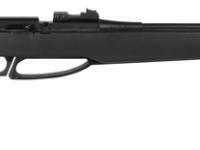 Ideal starter target rifle. Single-stroke pneumatic with a five-shot clip.